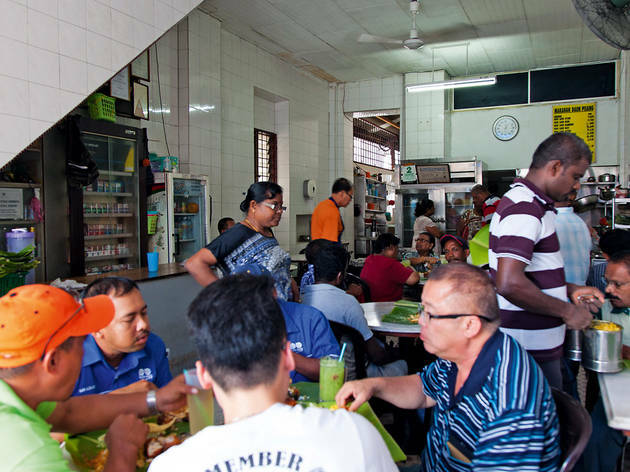 A bit of a cultish legend in Klang, Yap Kee has been operating down the road from the Klang Railway Station for over 70 years. 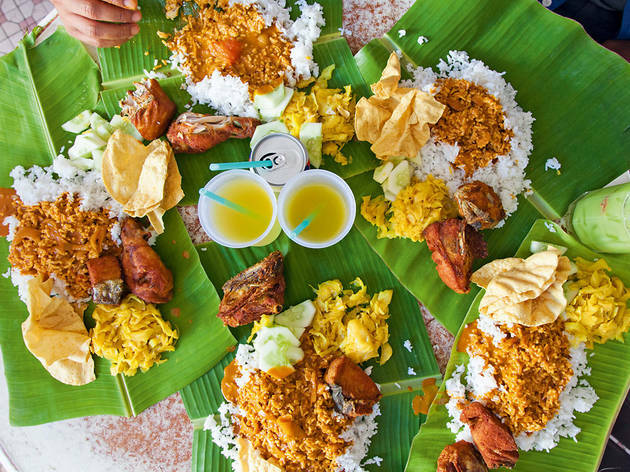 It’s the precious suburban darling that generations of Klang-ites have supported and loved, and present day, the space can barely contain the crowds that congregate at lunchtime. Variety is not Yap Kee’s strongest suit, but we don’t mind too much. 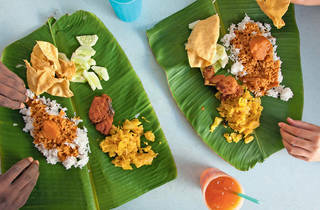 Each leaf is topped with rice, curry, one vegetable (if you get the cabbage stir fried in turmeric, count yourself lucky) and your choice of meat. 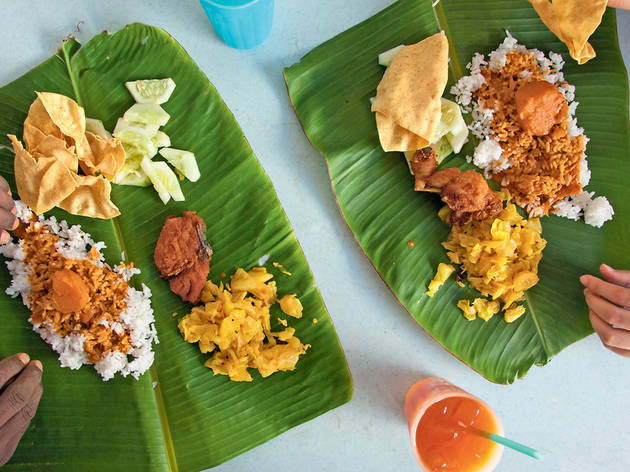 Both the ayam rempah and fried fish wouldn’t be out of place at a mamak shop, which makes Yap Kee a more Malaysian banana leaf experience than a South Indian one. But we find a stunner in the mutton peratal, whose freshness and tenderness can only be executed with local baby goats. 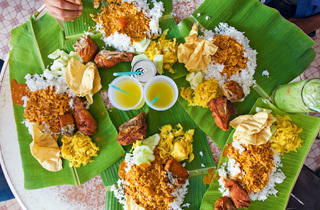 The fat is left to cling on to the meat, a treat for banana leaf fans who often get their goat meat too lean.